Well, it’s time. Christmas is nearly here! This is my first Christmas book this year. The Christmas Pony was written by Melody Carlson, I reviewed her book The Christmas Shoppe last year! That was a sweet book for the holidays and this one is too! Honestly, I read this book in about 3 hours, it is a delightfully sweet story! The story takes place in 1937 when Lucy, an eight year old girl, wishes for a pony for Christmas. Not just any pony, no she wants Smoky. A pony she has grown to love through her gifts as she walks by his home during her week. Lucy is a sweet little girl, who you will instantly love. Her father has passed away and she lives with her mother and Grandmother. This story is one that will kick off your holiday spirit in full fashion! It is a story of making due with what you, but more, being content with what you have. Seeing how Lucy makes the best of everything she faces is very encouraging. This is a perfect story to share with the family as a read aloud too. I plan to have my boys read it as we get closer to Christmas, while I know the main character is a girl, I think they will both enjoy the story and the message! I think this would make a great gift to pass along to a friend as the Christmas season approaches. 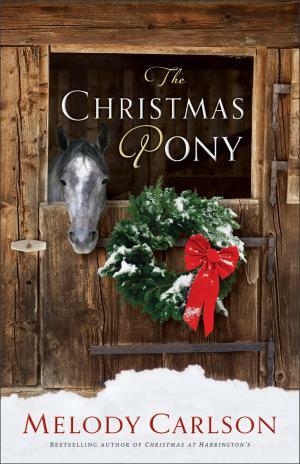 NOTE : I was offered a copy of The Christmas Pony, at no cost, in exchange for an honest review by Revell Publishers.